Babies are born with reflexes that influence much of their behavior over the first few months. 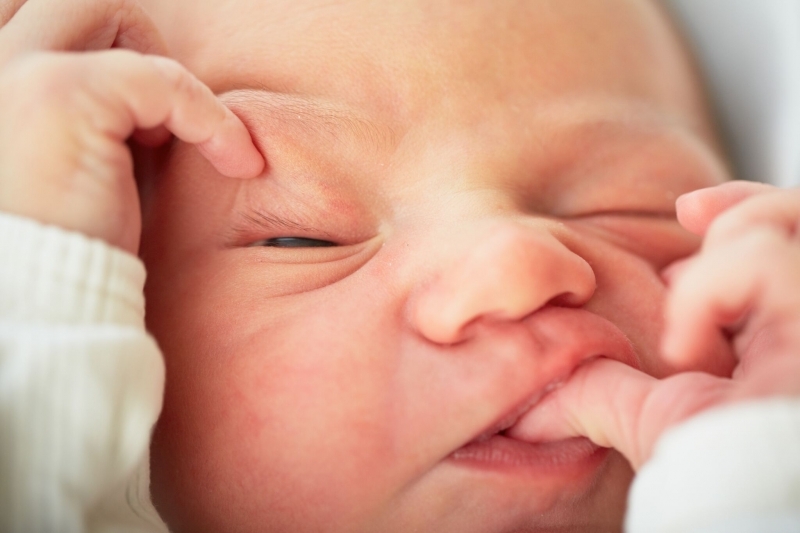 Some of these include sucking, turning the head toward your hand if you stroke her cheek or mouth, and the grasp reflex in which stroking your baby’s palm or underside of their foot will cause them to curl their fingers and toes. Babies make a wide variety of grunts, squeaks, sighs, sneezes and hiccups. They can alternate between breathing quickly and slowly with small pauses in between. They’re only able to see a few inches away and see few colors when they’re born. They may intermittently go cross-eyed. These are all normal behaviors and usually resolve in a few months.